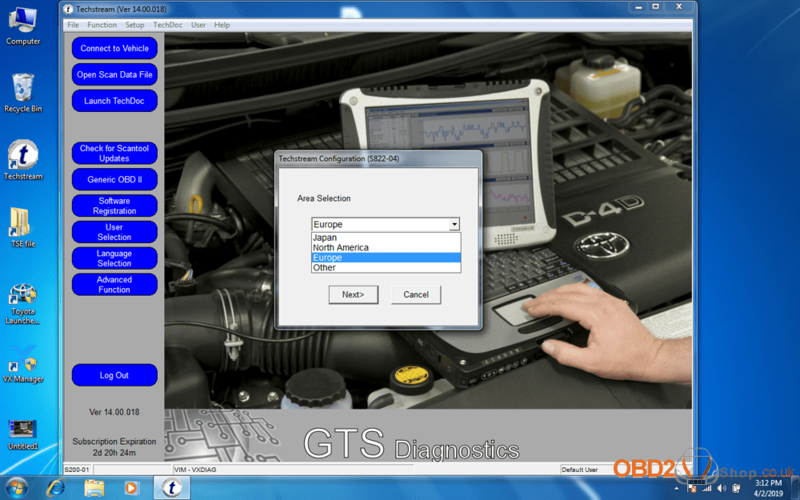 Techstream V14.00.018 is compatible with Toyota Lexus 2019 year. 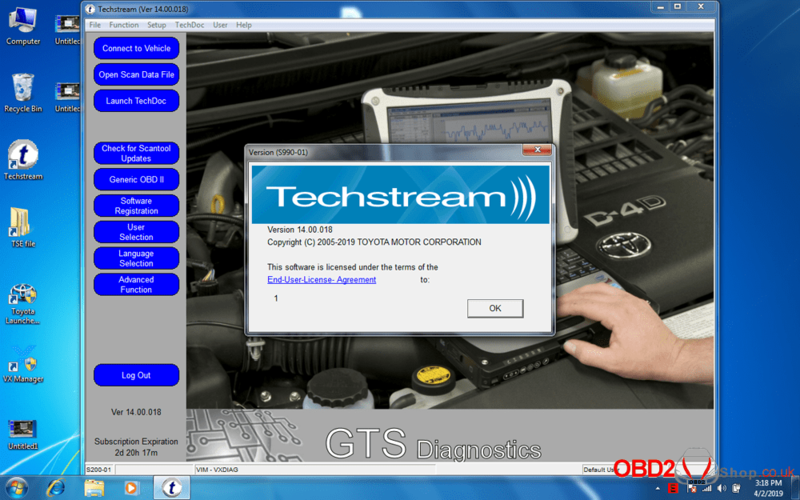 This post contains: 1) Toyota Techstream V14.00.018 download free: No pass & with patch instead of giving ID for key; 2) Techstream V14.00.018 setup on WIN7. 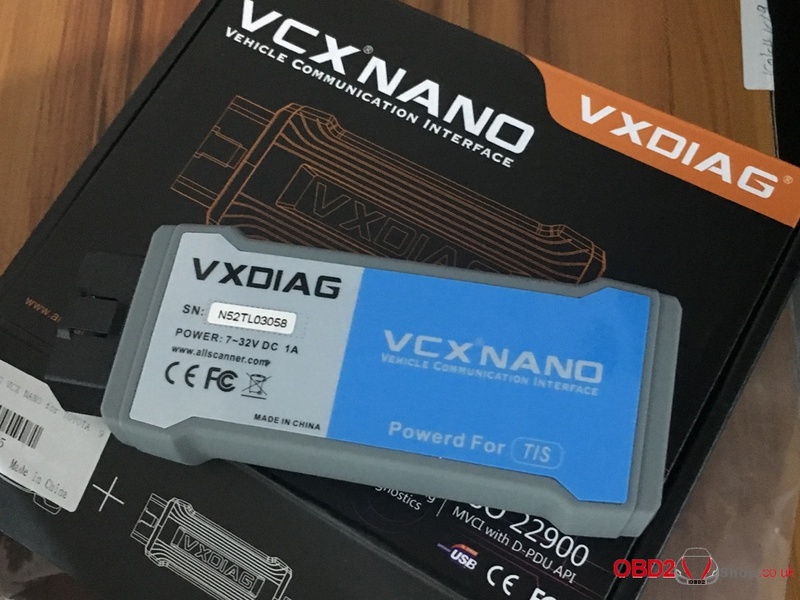 Activation for key: No need, just install Patch. 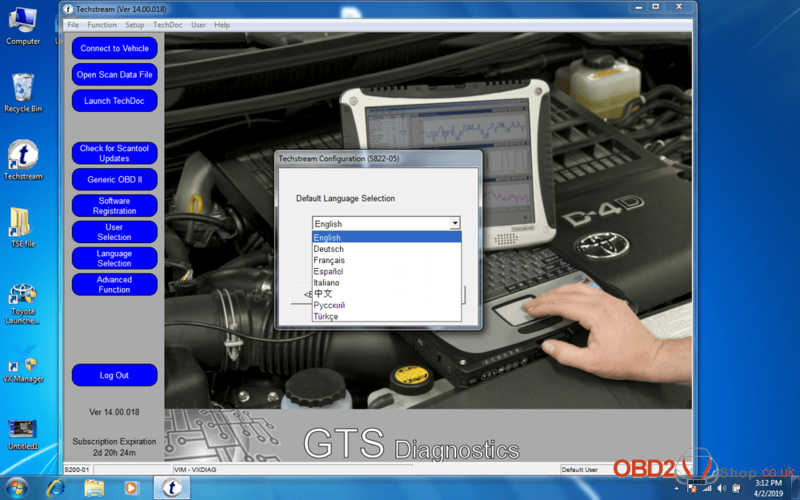 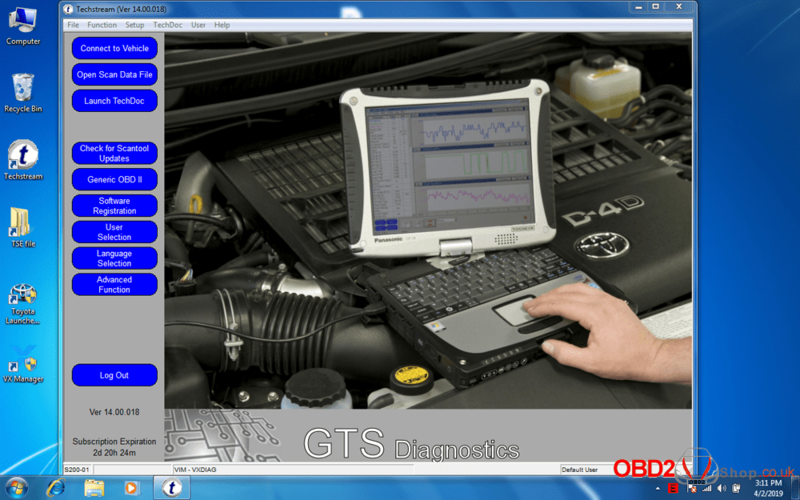 Toyota Techstream V14.00.018 tech support is supplied by obd2shop.co.uk.